Our rare book room contains treasures (10,000 and counting) on a wide variety of Texas-related topics…as well as non-Texas materials. (More on that in a future blog post.) Anyone may use these rare items. As the Coordinator for User and Access Services, the bulk of my work deals with patrons. Whether these patrons come in person or contact us online or by phone, I am usually their first point of contact. I’ll let you in on a little secret—I’m the person behind our general email account (txcoll@baylor.edu) as well as our Facebook, YouTube, and Twitter (though occasionally other staffers tweet). Using social media has allowed us the opportunity to interact with people all over the world, and I’m happy we have a great following on all platforms we use. Working with researchers is rewarding, and I never know who may contact me—the Pentagon, the New York Giants, the Texas Supreme Court, or scholars from all over the world. I appreciate all of our patrons, but I particularly like when History Fair students come in because it’s a great way to introduce special collections to younger generations. Using special collections can often be intimidating, but it does not have to be. We hold a world of information, and I try to ensure that each patron is welcomed and valued. Patrons often say they don’t want to bother me, but helping patrons is my job. I want you to bother me! Some of our oldest texts. 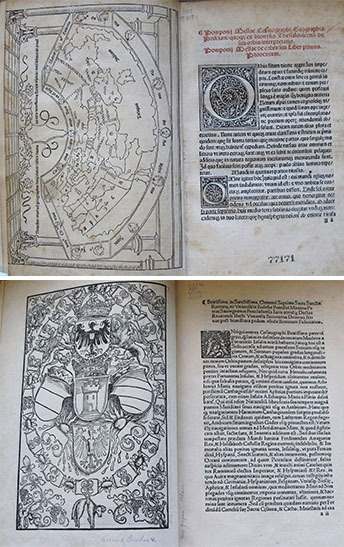 The top photo is from *Cosmographia, sive De situ orbis* by Pomponius Mela (1482). The bottom photo is from *Praeclara Ferdinadi Cortesude non maris oceani Hyspana* by Hernan Cortes (1524). One of my favorite duties is consulting with students about research. During the consultation, I try to get to know them, find their interests, and steer them to topics that are personal and interesting to them. I also consult with professors about their personal research or for student projects. It’s rewarding to see patrons take an interest in a topic based on items we have in the collection. I provide bibliographic instruction to Baylor students where I teach them about our collection and the items it contains. I also give presentations to the Central Texas community. I like seeing people get excited about special collections and the treasures they may find. 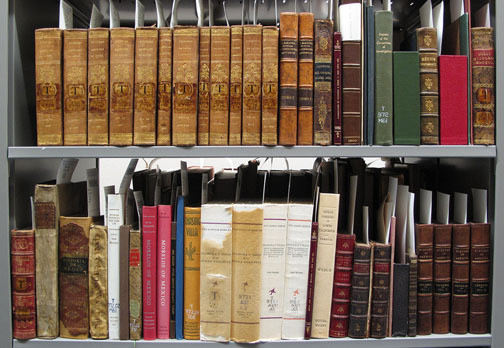 Since the Librarian retired, I have served as bibliographer for the collection, and I oversee the rare book room. I receive catalogs from dealers across the country, and it is my job to select books for purchase. One of my recent purchases, Resources of the Southern Fields and Forests, Medical, Economical, and Agricultural by Francis Peyre Porcher, published in 1863, is a beautifully bound item and is considered one of the best scientific texts produced under the Confederacy. With nearly 167,000 volumes, our print collection (including our rare books) is vast, and it is important that I honor the collection by choosing the best items with the most value to our scholars as well as honor the bibliographers who came before me by selecting as wisely as they did. Their contributions helped to make this collection one of the finest Texana collections in the world. 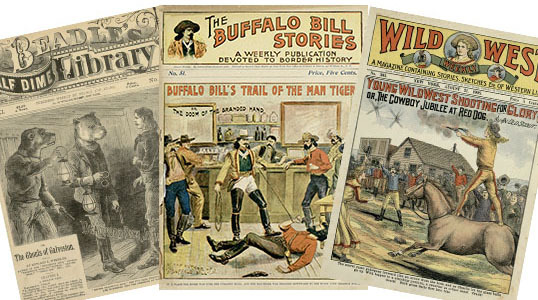 These dime novels are part of our Summer-Fall 2013 exhibit that I helped curate, “Dime Novels: The Rise of the American Hero.” In addition to traditional bibliographic instruction and presentations, exhibits are just one more way we at The Texas Collection engage potential patrons and encourage them to use our materials. In addition to the work above, I also hire, train, and supervise student workers, plan and implement organizational projects, research and install exhibits, manage statistics, preservation, and serve as editor of our newsletter, Viva Texas. I enjoy my job because I like helping others, and I am very lucky to be able to work with such an amazing collection.